Unics Kazan remains on top of the VTB League with a 5-0 record, followed by Zenit St. Petersburg at 4-0, as both teams have played more games than also unbeaten CSKA Moscow (3-0). 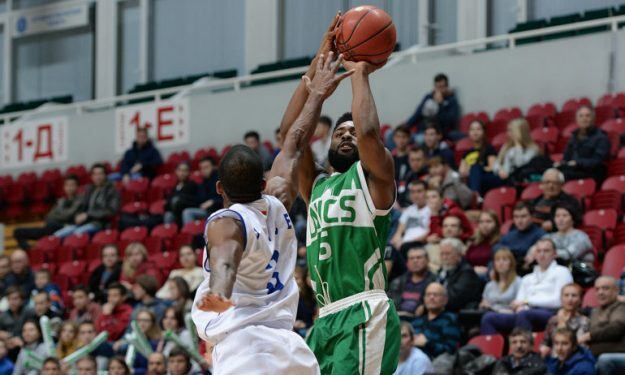 Unics got the 98-71 win over Tsmoki-Minsk (2-2) as Keith Langford set a new league record, dropping 42 points on 14-20 shooting (5-10 from downtown) to go with 9-9 from the line. The old record of 41 points belonged to Krasny Oktyabr’s Randy Culpepper, set in October 2013. Zenit prevailed 90-76 over VEF Riga (1-2) with Ryan Toolson (21 p. 4 st/), Janis Timma (21 p. 4 st.), Anton Pushkov (16 p.), Aaron White (11 p. 15 r.) and Stefan Markovic (6 p. 12 as.) putting up a show. The bad news for the winners are that Sergey Karasev only played eight minutes and didn’t score a single point, before leaving the game with an injury in the 2nd quarter.